With a lovely silver champagne finish, this contemporary open gourd table lamp has a stunning and distinct design. Add the finishing touch to any room with this open gourd table lamp style that sits atop a round clear base. The sleek and minimal table lamp design will look at home on a side table or end table. Constructed in metal material and topped with a drum shade. Overall: 28" high. Base is 6" wide. Drum shade is 15" wide x 9" high. 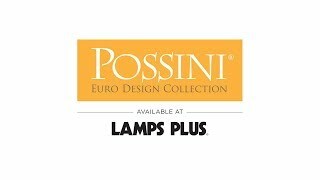 Open gourd table lamp by Possini Euro Design®. Silver champagne finish. Metal construction. Round acrylic accent at the very bottom. Off-white fabric drum shade with decorative ball finial. Clear cord. SOFA AND MATCH. i ALSO HAVE CREAM DRAPES THE SHADES SHOULD MATCH. SOFA IS TAN. FAMILY ROOM. Have really liked these lamps for a really long time. Finally buying them. 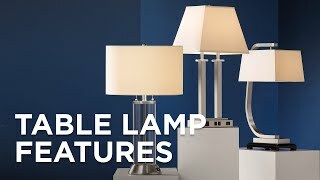 I have been looking for a lamp that is different and also uses a 100 bulb for my sofa table. A little glitz but not too much. Very attractive am using it to stage a house for sale. I wanted an open gourd and a white drum shade. This had both and a very reasonable price tag. The gourd also has a beautiful champagne color. Perfect lamp for my living room. The base caught my eye right away gorgeous! My wife's been looking at them for months . Looks perfect for my new room! The color and style are similar to a very large mirror in my living room. Wanted to update family room. This lamp is different, modern and lovely. Simple, but with a little glam. Simple design. On sale. Reasonable price. 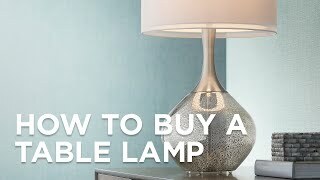 What color is the cord on lamp and does it come out of the base of lamp? BEST ANSWER: This includes a clear cord and exits from the bottom base. We like the lamp. The cord does comes out of the base. We are not at home to specifically tell you the color, but if it is not silver (it may be a brass color) and is mostly unobtrusive. lamp, silver and it comes out of the bottom of the lamp, We absolutely love this lamp. Base is a clear acrylic and very pretty. It is clear and runs though the base. Not visible at all and I absolutely love it! Cord is clear and yes it does come out of base of lamp. 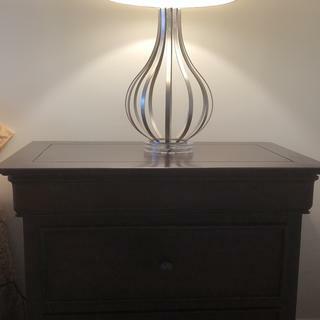 I have 2 of these lamps and I love them, but I would like to change the lampshade to better fit the room, I am looking for a grey shade but cannot find the right size. Can you help? BEST ANSWER: Hi - the current shade on the lamp is 15" wide x 9" high drum shade. Unfortunately, there is not an exact match in the size in a gray color. But, I have added a link below for you to view some shades options that are close in size offering you with many tones of gray as well as patterns to choose from. Is this soft silver in color or soft gold? 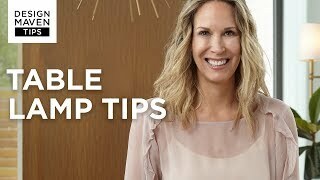 BEST ANSWER: The finish of the table lamp is Champagne. It has a light silver and gold tone. is this base glass/acrylic or silver? BEST ANSWER: The base is acrylic, however you can hardly tell because your eyes go to the shade and the upright. Ours even sits on a dark table and the base is nearly invisible. Thank you! Is it really silvery or a tint of gold? Thanks again! Thanks! I think I'll give it a try then! Thanks for your help! my car color is actually called champagne silver, so I imagine it's the same type of thing - mostly looks goldish-but under certain lights, silver...these are really pretty lamps! It is acrylic, the lamp is beautiful very unique. A great ptice too! It is acrylic. I love the lamp. Is the metal more silver than brushed gold? BEST ANSWER: It is a light brushed gold, more like a champagne color. What color is the shade? Thanks! BEST ANSWER: It is off white , slightly on yellowish side. Definitely not pure white if you are looking for that. But it compliments the base well. It's a textured off white fabric - not as dark as it looks in the picture. It is off white, not stark white. But we absolutely love it. It's a complimentary creme color. Great looking lamp. It's a muted goldish color. Very pretty. I bought two of these lamps for my bedroom and am so pleased with them. Love that that the gold is very subdued and not shiny. They have a modern look but not to the extreme. Would recommend. Excellent light. Good for reading. So Happy with my Purchase!!! I received these lamps within a couple of days of ordering. Lamps were packaged very nicely and securely. When I had to return one of the lamps, customer service was excellent in sending me a new one overnight. They also provided me a free shipping label right away via e-mail to return the old one. Very courteous staff! Beautiful lamp with great illumination. Lamp base color online/magazine is true to the actual color of the lamp. The lamps were well packaged. It was a good thing too,because the deliveryman slammed the boxes on the pavement taking them off the van. Tracking was good,and they arrived as scheduled. This is beautiful and classy! I have this lamp on a side table in my living room. It completes the room perfectly. I am very pleased with this lamp. Looks as good as the picture. I have this in my lounge on a glass table. It provides a nice, soft illumination. the right paint to cover scratches. 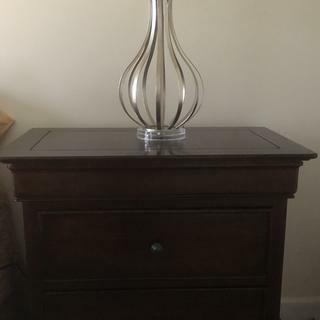 Hi Sarah P., so sorry to hear that the lamp arrived with scratches on the lamp body. Please reach out to our customer service team who will assist you. Thank you! Looks very stylish. Love the color. 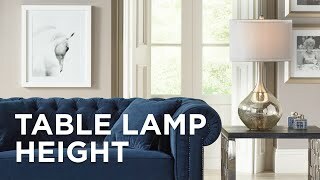 This is a very nice looking lamp. It is just right for my living room. It goes very well with the décor. I am very pleased with this lamp and glad I purchased it. Thank You. this lamp ads to the decor nicely. Nice lamp for the money. I love this lamp! I recommend it highly. 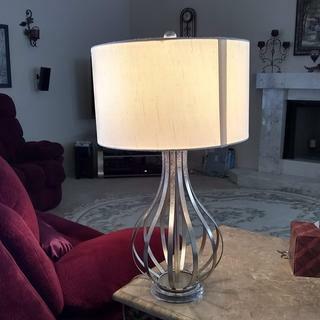 I ordered two of the 6R902 - Hayden Silver Champagne Open Gourd Table Lamps. Attractive lamps from a distance. It is definitely silver in color (not gold tone). The lamp shade seam is rather unsightly, especially when light is on. The clear cord is about 8 feet long. Mine arrived with stains on the inner part of the spirals. Hi Shirley K., sorry to hear that one of your lamps arrived with some stains. If you would like assistance from our customer service team, please reach out via phone, email, or chat and they will be happy to look into the issue for you. Thank you. I expected them to have a more expensive look. I thought the base would be glass instead of acrylic. Their okay. Hi Alicia H., sorry to hear that your lamps arrived in a different finish than expected. Our customer service team has clarified that we had your replacement lamp on hold to inspect before shipping out to ensure that the color was correct, but because you advised to just ship it as is, we were unable to determine that the finish differed once again. Our customer service team has created a return process for you in order to get another replacement. Please reach out via phone, email, or chat if you have any questions. Thank you.